The Odonata is the order of insects which includes dragonflies (Infraorder Anisoptera) and damselflies (Suborder Zygoptera). The Odonata have an ancient lineage. Fossils of a very large dragonfly ancestor have been found in Carboniferous deposits in Europe from about 325 Mya with wingspans of about 30 inches (750 mm). 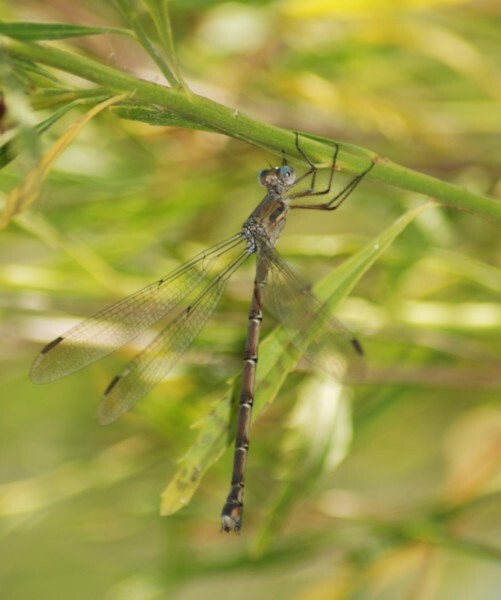 Early damselfly fossils have been found in deposits of the Lower Permian over 250 Mya. All odonates are predatory in all their life stages. Aquatic nymphs, also called naiads, feed on a range of freshwater invertebrates, but the larger species can prey on tadpoles and small fish. Volant adults capture airborne insect prey, making good use of visual acuity and highly controlled flight. As a group, odonates occupy a variety of habitats, but many species, and even some families, have specific environmental requirements. 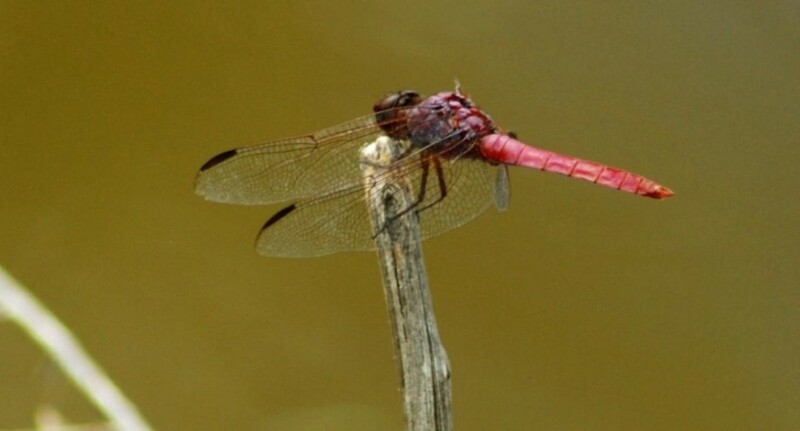 Adult dragonflies are characterized by an elongated body, a pair of large, multifaceted compound eyes with nearly 24,000 ommatidia (facets) in each. They also possess two pair of strong, transparent wings, sometimes with colored patches---the hind wings being broader than the forewings. 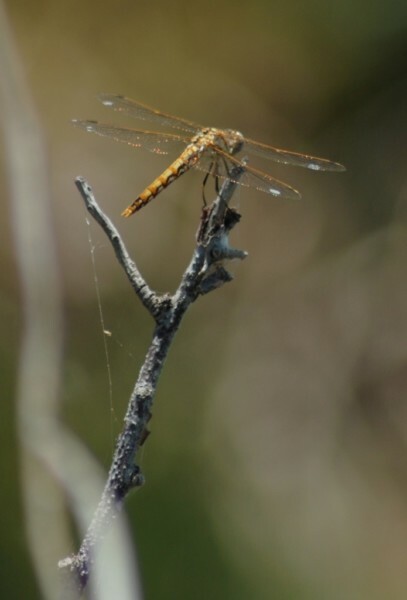 The wings of most dragonflies are held flat and away from the body toward the sides. They are strong, agile flyers. 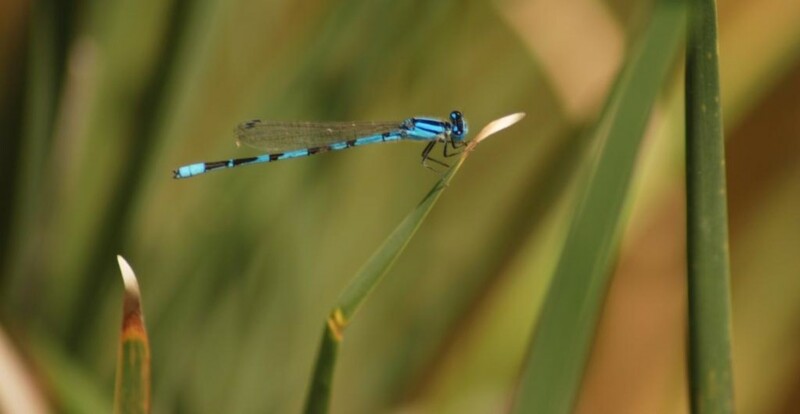 Adult damselflies are similar to dragonflies, except they are generally smaller and slimmer in build. 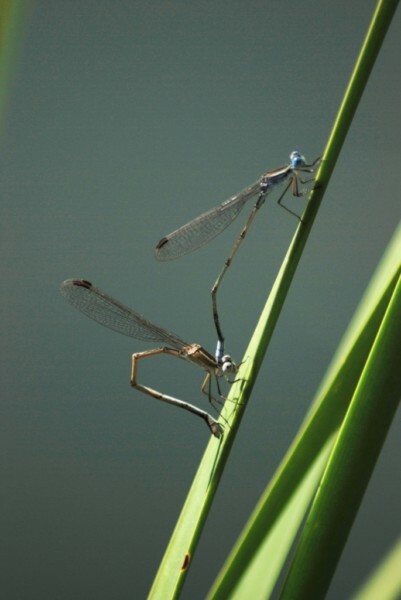 When at rest, damselflies fold their wings along or above their abdomen. Damselfly flight is weaker and more fluttering than that of dragonflies. 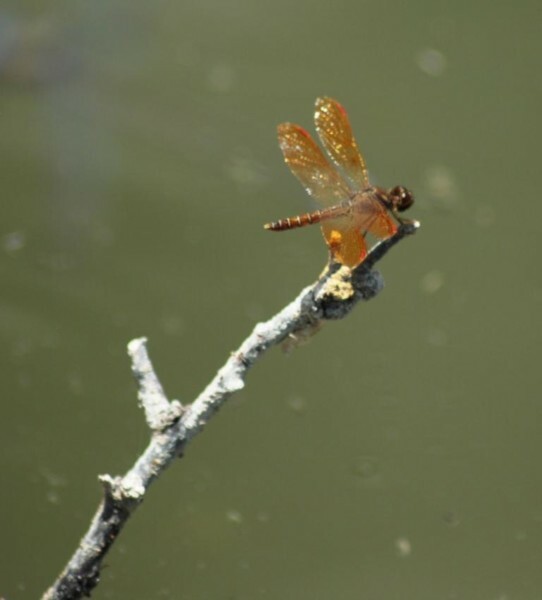 This Friday and Saturday, Sibley Nature Center is presenting the 4th annual Dragonfly Celebration. 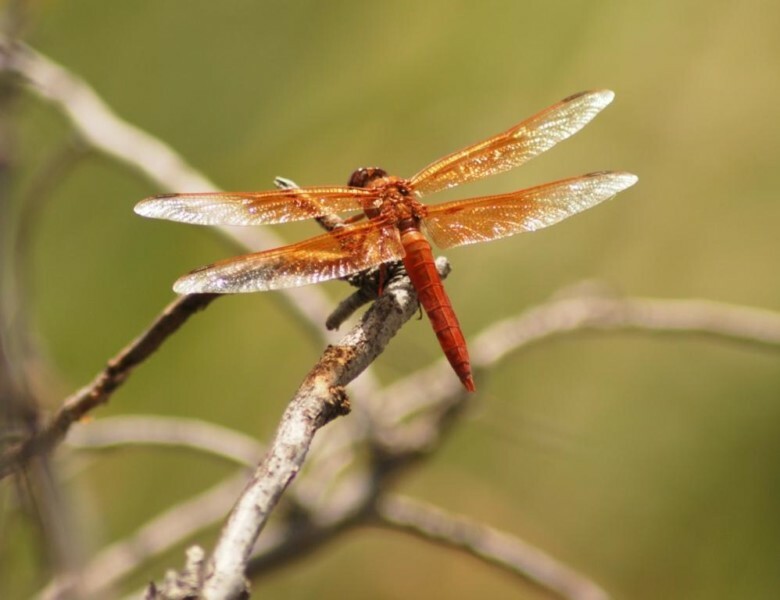 This year, the featured guests are odonatologists (dragonfly and damselfly experts) John and Kendra Abbott. John is the Director of Museum Research and Collections at the University of Alabama. He grew up in Texas, falling in love with insects and natural history in general at a very early age. 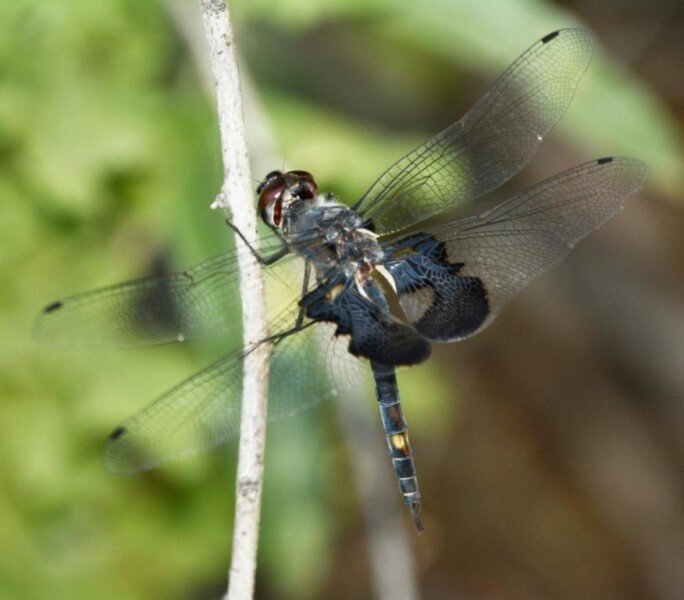 He is the author of Dragonflies and Damselflies of Texas and the South-Central United States---a region containing more than half of North America’s odonate species. His current interests are in biogeography, systematics, and conservation of dragonflies and damselflies throughout the New World. 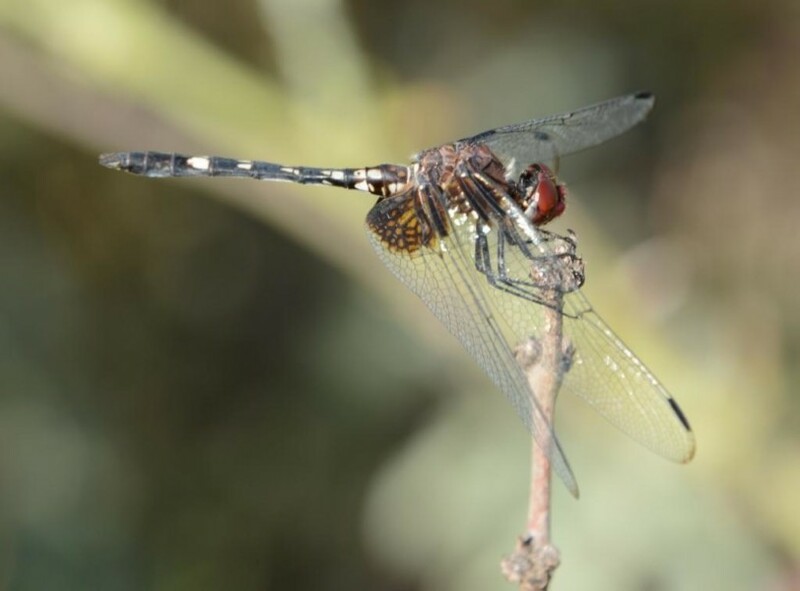 He incorporates citizen science as a way to help collect data on a variety of odonate topics ranging from species distribution to unraveling the mysteries of dragonfly migration. Kendra is an ecologist who studies carrion beetles and specifically the environmental requirements of the endangered American Burying Beetle (Nicrophorus americanus). John and Kendra are working together in redoing the Peterson Field Guide to North American Insects and writing a Guide to Common Insects of Texas.